Irish Nationals preview: can anyone stop Ranelagh? In his ShowGame debut, Lorcan Murray previews Irish Nationals this weekend. Limerick, High Lady of the Shannon and the Celtic Tiger’s forgotten daughter will once again open her walls to welcome Ireland’s finest disc dancers onto her fertile fields. Though this intrusion will be borne on the opposite end of the club season to that which she is accustomed, rest assured precise execution and intense competition remain defining aspects of her Siege mentality. 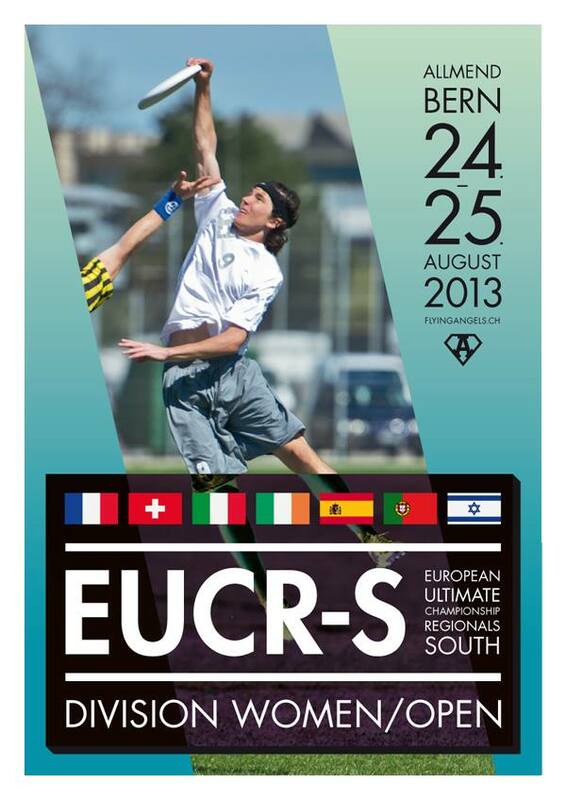 EUCR-S is happening in Nantes, France, this weekend and for the second year in a row, Ireland will only be represented by one club after two years previously of not being represented at all. Despite this, there is interest in Ireland next year not only to send an Open, Women’s and Mixed team to EUC, but also an Open and Women’s team to U23 Worlds. This begs a very important question that I think all Irish Ultimate players need to start asking themselves: why as a country are we willing to spend so much time, effort, and money to play for Ireland, when we are not willing to spend a fraction as much to play for our clubs? In anticipation of the upcoming Dublin Elite Skills Clinic, Mark Earley interviews the coaches as well as president of the Irish Flying Disc Association for The ShowGame. Next weekend Sion ‘Brummie’ Scone and Daniel ‘Colonel’ Furnell are travelling to Dublin to coach players and coaches alike. This is the first time such a clinic has taken place outside of the UK. We spoke to Brummie about his coaching, about the start of Elite Skills Clinics, about how the trip to Dublin came about and what his plans are for the weekend in question. TSG: When did your focus switch from playing to coaching and why? SS: 2010; it was time for another GB cycle, but I wasn’t really interested in getting involved unless there was a different approach than we’d had in the past. It was my opinion that basic skills – even at the top teams – were too poor to allow GB to compete when it mattered most. I therefore wanted to coach the team, to make sure things were done properly, even if that meant that I didn’t get to play. TSG: What in your opinion is the most important facet of coaching? SS: An analytical mind. I actually think that people who aren’t “naturally good” players – but who are good players – tend to make good coaches, because they have to learn what to do and work out where they have gone wrong in the past. Watching ultimate is also important, but with an analytic perspective; how does that cutter get open, how does that defender always get a block, etc. By watching footage and looking exclusively at a single player, you are able to watch them set up their movements a long time before they actually make a play. Take that away and teach it, and everyone learns that skill. I think between all of the players in the UK, our collective knowledge is probably just as good as anywhere else in the world, I just think we’re really bad at collaborating and sharing that knowledge. TSG: How long have the Elite Skills Clinics (ESCs) been taking place? How did they first come about? SS: Ever since 2005 I’ve been running free skills days, and attracting up to 100 players at a time to listen to me talk about ultimate fundamentals. It made me realise that there was a real lack of information out there, so I started thinking about whether people would be interested in an entire weekend of instruction. Initially I thought about trying to coax 40 players into a field for a weekend back in 2010. I turned to a few of the people I’d met on Team USA (notably Jolian Dahl and Dylan Tunnell) for a bit of advice on how to run a dedicated weekend clinic, and, because it was WUCC in Prague that year, I ended up asking them to come over and help me run it. “Elite Skills Clinic” was born; the aim being to transfer the elite-level skills to those who wouldn’t normally get the opportunity to learn these things. I strongly believe that people need to know how to do things well if they want to improve, and while you can sit and watch a video on how to throw better, the video can’t look at you and tell you where you’re going wrong. Anyway, getting some frisbee celebrities helped me to market the event, plus I’d get to watch these guys do some coaching and learn a little about how they do things. In the end, so many people wanted to come that I got another 8 players from the USA to come and I was relegated to water-boy! It did mean I got to go and listen to them all talk, which was really useful as a coach, and the 185 people who turned up really enjoyed themselves. We’ve repeated the clinic every year since. I quickly realised that there wasn’t really a “magic bullet” that the US players had in terms of knowledge, but rather that all of them had a really well-rounded understanding of every facet of the game. Because of this, I feel confident that I can give just as good a coaching experience as a top US player, without the travel costs. If you asked them how to do A, B or C, there’s a 90% chance they’d all tell you pretty much the same thing. I think our frisbee education here in Europe just isn’t as detailed, people tend to pick up bits and bobs but there are skills gaps everywhere. Even when I work with the GB Open team or GB World Games squad, I have to go over fundamentals with some people. When we get to the point where someone running a GB team knows that their players will have sound throwing skills, a solid mark, know how to play effective man defence, etc etc, then we’re going to see a huge leap in the level that we can play at. And it starts with the people with aspirations for being better. That’s all I say: “if you want to be a better player, come to ESC”. I guarantee I can teach you something about ultimate that will improve your game, but people have to realise that they are not the best they can be yet and they still have things to learn; an open mind is crucial in the coaching process. I initally thought that I’d attract the likes of GB U23, and the next generation of people aiming for GB Open. In fact, we ended up with mostly B & C Tour players. This is because those players are generally uncoached, so they have a real need to learn. Of course, I’d love to attract the next generation of GB talent as I think that a few coaching tweaks can have a profound effect, and I’d love to give GB 2015 a head start; anyone who is unsure is invited to ask any of the GB Open squad for a frank and honest opinion of my coaching! TSG: What do you see as the main difference between coaching in the UK and in the US? SS: US club teams have non-playing coaches. UK teams do not, by and large. In fact, I’m struggling to think of any… Until we develop a coaching culture, we’ll always be stumbling in the dark, one step behind. Fortunately, the UKU realised that a long time ago and took steps to resolve it. TSG: Do you think the importing of US coaches is a good thing or perhaps damaging to UK Ultimate? SS: I don’t think it is necessary at all, but while UK clubs do not analyse their own play and those of their (prospective) opponents, there will always be a need to get access to good coaches who are capable of doing this. Besides, if you are a UK-based player and don’t happen to play for one of the handful of teams who has access to a coach who has played at a high level, then it’s highly likely that they won’t have access to anyone who can actually teach them something. As I said previously, RiseUP and similar resources are fantastic, but they can’t watch you throw and give you feedback. There will always be a need for good coaches. TSG: In just over a week you and Colonel are heading to Dublin to deliver a Clinic, a first for you. Looking forward to it? SS: Absolutely! I’ve never actually been to Ireland, quite an oversight considering I have been to Canada, USA, Australia, Japan, Taiwan, Colombia and all over Europe playing Ultimate. TSG: How will the Dublin clinic differ from any you’ve given before? What are you planning to cover? SS: The focus is on developing coaches as well as players, so we have a 50/50 split between throwing fundamentals, teaching methods for improvement when breaking the mark, field awareness, new tactics / approaches, how to design and teach new drills, analysing team performances, designing and implementing tactical adjustments mid-game… it’s going to be very busy, and we’re going to throw the coaches in at the deep end. Hopefully everyone who attends will get what they want from the weekend, I’m certainly excited about some of the content that Colonel and I have put together. TSG: What are the long term goals of the ESCs? SS: Developing better educated and more rounded players. Those who I’ve coached for any period of time I would like to hope have learnt some new skills, techniques or tactical knowledge as a result. ESC is all about exposure to new ideas and methods of how to do stuff, so just attending one weekend isn’t going to make someone into a world class player, it’s the process of practising those skills over a long period of time that will make the difference. And if they can take that to their clubs and spread it, perfect. If we can also develop more coaches, then I think we are in a great position. I am waiting for the day that I see someone performing a skill well and they say “I learnt that from someone who went to ESC” 🙂 We can work as hard as possible, but a bit of knowledge goes a long way, and I’d like to see the level of play consistently improving in the UK as a result of the UKU’s coaching schemes. ESC forms part of that vision. 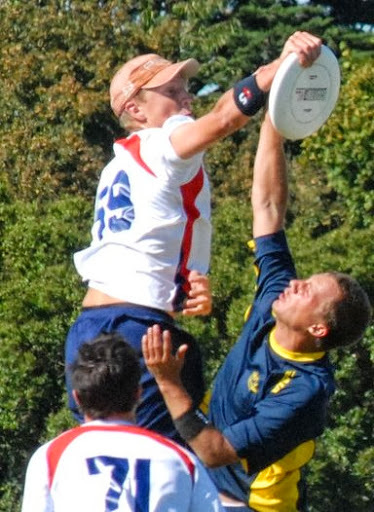 We also spoke to David Rickard, the current President of the Irish Flying Disc Association about Irish Ultimate and where he thinks it will grow in the future. David, or Rickard as he is known, has been a part of Irish national teams as well as being a central administrative leader over the past decade in Irish Ultimate. 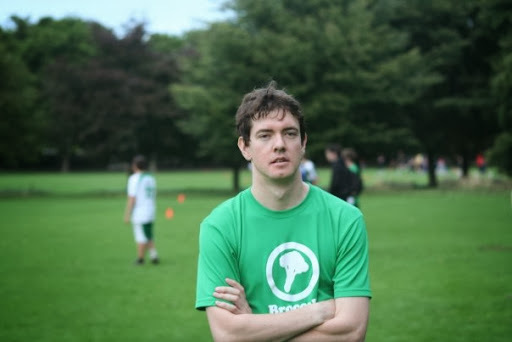 He has seen how much Irish Ultimate has benefited from UK Ultimate over that timespan and is excited about what Brummie and Colonel are bringing to Dublin next weekend. TSG: Roughly how many players are there in Irish Ultimate at the moment? How does that compare to previous years? DR: There are currently 400 people playing Club Ultimate, with probably a couple of hundred people playing weekly in schools and colleges but not directly registered as members, and many more playing casually or having been introduced to the sport in school. TSG: Where has the main area of growth been recently? What do you put that down to? DR: Juniors and Youth. We had five teams at U23, U20 and U17 level this year, where five years ago we would have been lucky to have 1 or 2. I think most of the growth has come from club and college players working directly with local schools (particularly the work done by UCC, Dublin Youth Ultimate, and Mark Earley in Gonzaga College). TSG: In terms of coaching schemes, how does the IFDA qualify coaches at the moment? DR: We don’t have Irish Sports Council recognition (but we are working on it! ), and so don’t have a Coaching Ireland framework. We currently license the UKU Level 1 coaching course, having sent a number of players over to the UK to qualify as Coach Educators. TSG: Links with the UKU are very strong. How does Ireland benefit from these links? DR: We owe a huge debt to the UKU, both as an institution and a community. We (the IFDA) have been able to learn a lot from their structures and organisation, while the player base has been able to find top quality, reliable and well organised tournaments on our doorstep. 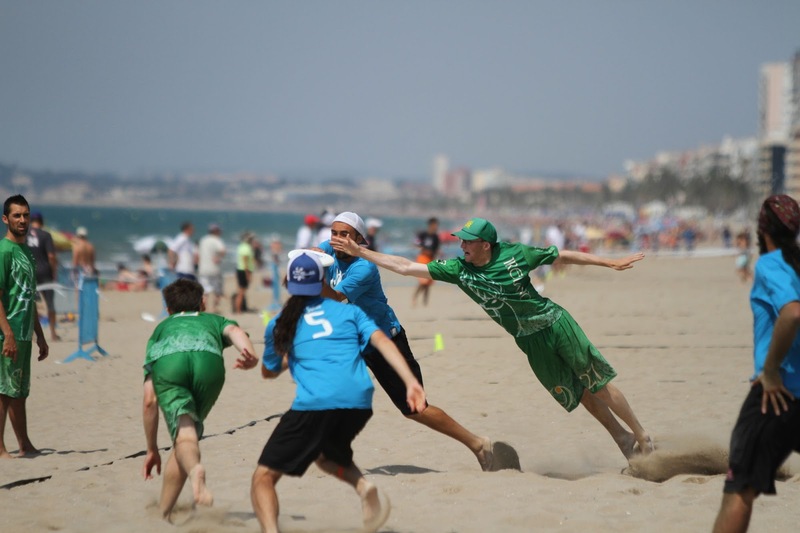 Ultimate in Ireland is a minority sport on a relatively sparsely populated island – travelling to find good competitions was always going to be likely. To find a competitive structure reaching to the highest level only an hour away, and one which welcomes our participation at practically every level, has been invaluable. It has given our teams something to aim for and something to measure ourselves against. TSG: In a couple of weeks two of the UK’s best coaches are coming to Dublin. What is the aim of their visit? And, how did it come about? DR: We’re delighted to have Sion Scone and Dan Furnell coming over to Dublin. The aim of the weekend is two-fold: to run a high-level skills clinic for our upcoming college and young international players, and to take advantage of the coaches’ expertise by including some sessions working with our own coaches. With the emphasis on grassroots ultimate over recent years we felt we wanted to pitch something at the players on the other end of the spectrum, and the Elite Skills Clinics run by the UKU were what we had in mind. Most of our teams, meanwhile, are being coached by young player-coaches and we felt it would be good to let them learn from the experience of some of the best coaches around. While the idea – bring someone in from outside our own ecosystem to throw some new information at our coaches and players – has been around for a while, eventually it came down to someone just getting on the phone to Brummie! 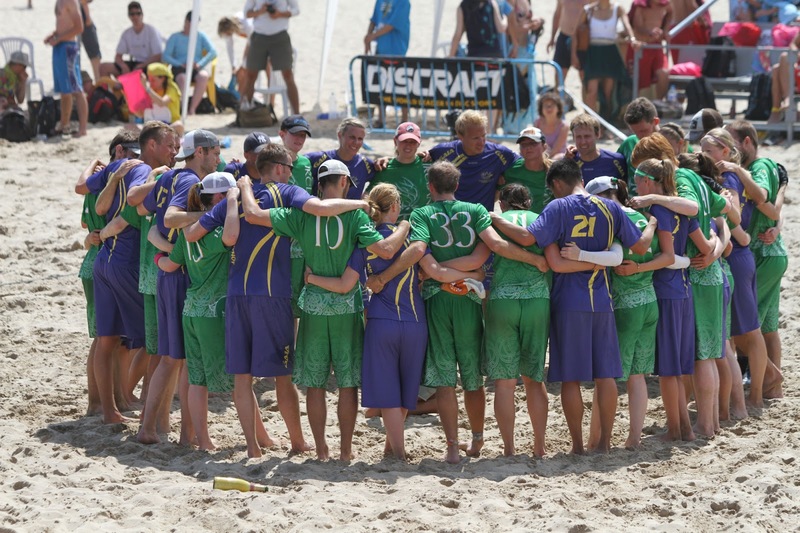 TSG: Where do you think Irish Ultimate is going over the next few years? DR: I think it will be unrecognisable, just like it has changed so much in the decade or so I’ve been playing. Our player numbers are growing, our organisation is becoming more streamlined and professional, and I’d expect us to obtain Irish Sports Council recognition within the year. Every season sees more new clubs and schools playing the sport (colleges having been the mainstay for so long) and we’re finally getting to the stage where we have players looking to coach more than they play. It will be an exciting challenge to tie together the development of the sport at these levels and direct the right resources to coaching, competitions, national squads and any associated administration. So we’re certainly going to be bigger and a better run organisation. Just how that will translate to results on the international stage is hard to say. We’re not the only country experiencing the growth in popularity, and I think you’ll see a couple of European countries leapfrogging each other in any table you care to look at over the next few years. Our challenge will be to take the momentum we have built and try to take some of this summer’s results – best ever placings for Ireland at Beach and U23 competitions – as records to be broken rather than high points to be satisfied with. Mark Earley tells us of the Irish success at ECBU last month. 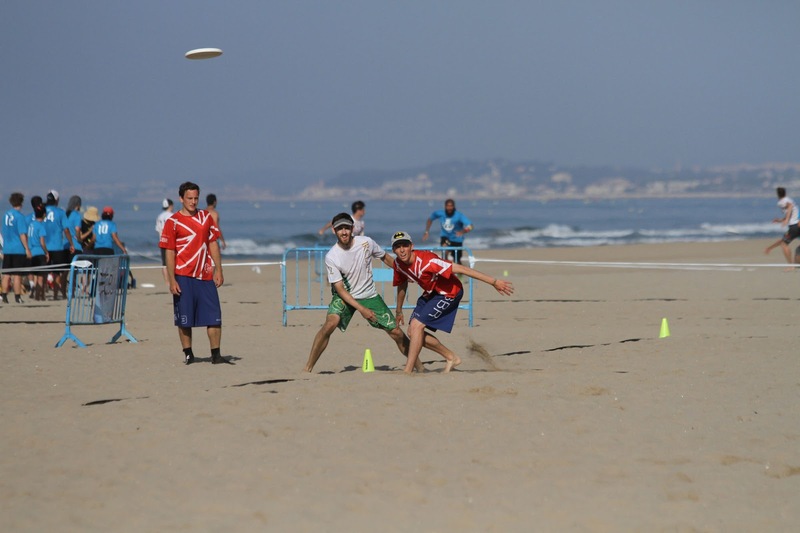 About a week ago now, the European Championships of Beach Ultimate took place in Calafell, Spain. The tournament was hosted by the local team Peixets, ably lead by the Tournament Director Juan Carlos (better known as ‘Mom’) and his team of staff and volunteers. Two Irish teams attended the event, both with contrasting results, as anticipated. In the Open Division, a young and inexperienced Irish team made the journey and found the going tough. They were beaten well by most opponents, despite starting every game strongly and showing much potential throughout. Winning just one game during the week was frustrating for a group of players that will feel they should have beaten Hungary, a team that pipped them in a sudden death game on the Saturday and beat them by 4 on the Sunday. They did not face Portugal, who finished below them but would likely have beaten a nation whose focus was on the Mixed division, much like Ireland’s. Leading in to the tournament the Irish Mixed team had done nothing but impress. They had won two warm up tournaments and had finished fourth at Paganello, narrowly losing to the finalists and in their bronze medal game. They came in confident but focused. Unfortunately for them the week started as badly as it could with Poland jumping to a 6-0 lead and closing out the biggest upset of day 1 by winning 10-8. Ireland regrouped though and ended top of their group having thumped Turkey and UEI, beaten the Netherlands in a tight 10-8 win and getting the better of a GB team who had already qualified by winning 4 group games. That put Ireland top of the group and allowed them maintain their seeding. Daragh Ó’ Céilleachair makes a bid against Turkey (Spirit winners) in pool stages. The quarter-finals were the cause of a Captain’s Meeting and much discussion at the end of the days play on day 2 of the tournament. Due to various teams holding seed and a number of odd results the schedule saw teams who had already played each other in pool play meet in the quarter-finals. Sweden, among others, objected but given that the schedule had been emailed to all captains and agreed upon they were left with little choice to stick by it. While this was undoubtedly fair, it gave the draw a somewhat lopsided look with Russia, Germany and a (very) under-seeded Sweden all on one side. However, as many people noted, you need to beat the best to be the best. Ireland faced GB in their quarter-final and produced their most complete performance of the tournament in a repeat of the previous day’s pool game. Haring out of the blocks the Irish converted 3 quick turns and didn’t look back, taking half at 7-2. They never let their foot off the gas and won 13-4, sending a statement of intent to the rest of the competition. If ever a team needed to shake off a defeat, this team did it with this game. Suddenly the Polish loss seemed like a year a go, not a mere two days previous. Seamus Murray sends another disc long against GB in their QF match up. Portugal were the team in their way of a berth in the final. Another trip to the Arena for what promised to be a cracking match up. The teams had met twice previously, with Ireland having won both games in testing conditions and with Portugal missing some big players. This time the wind was a factor once more, but perhaps not as much as expected. Both teams began nervously, trading turnovers but it was David Pimenta who stood out, as he single-handedly tried to swing the game Portugal’s way with a number of big blocks and grabs. However, the strength of Ireland’s women, and indeed their offence, began to shine through. They went 3 points up late in the game and despite a Portuguese fightback, won out to ensure a place in the final, and a medal. The final was the last of the games in the Arena on day four of ECBU 2013. The sun was shining, the wind blowing and the crowd in good voice. Ireland faced a Swedish team who had lost just one game, in pool play against the Germans – a game they avenged with a crushing victory in the semi-final, and who were playing extremely well. With years of international experience among their men and speed, agility and athleticism across the women, it was hard to see a weak link in the Swedish team. That said, it was a final and few teams are adverse to mistakes in front of a big crowd. Sweden and Ireland after the Mixed division final. The game began cagily. Both teams turned over in odd ways – misread discs, overthrown hucks and some drops. Eventually Sweden punched in the goal and were on the scoreboard. Point two saw them break the Irish offence again and so the theme for the game was set. Ireland could not get the space they were used to around their handler reset and their female players were facing their toughest battle yet. A slow start was unlike them and they appeared a little rattled, making mistakes where previously they hadn’t. A few dropped discs, a couple of marginal calls and all under sustained Swedish pressure left Ireland chasing the game and the more they chased the more the fight slipped away from them. It was a frustrating and disappointing end to a brilliant season and talking to the players after the game they felt like they’d under performed on the big stage. Sweden can take credit for a lot of the problems caused but Ireland will have to shoulder some of it too. 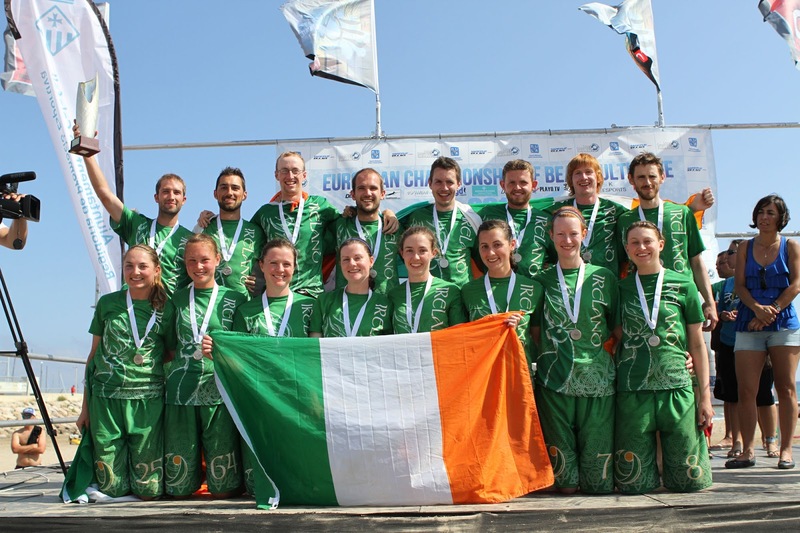 Ireland Mixed take Silver at ECBU. Having watched from the sidelines it was easier to immediately understand how much their achievement means for them as players and indeed for Irish Ultimate as a whole. This is the first team to come home from any major championship with a medal and they won it in style, finishing the season with only a handful of losses. They played with swagger, aggression and Spirit. They won over opposition teams and impartial fans with their honesty and sense of team. What’s more they did it all with a legion of fans at home willing them on, cheering their every move and hoping they’d bring something back to Ireland once the sand settled in Spain. Yesterday was a massive day for the community making that $15,000 in a couple days for ulti.tv, looking forward to WG streaming! Like, share, comment and contribute! DP @ tSG.